Canadian Daily Deals: PC Optimum Program is Here! PC Optimum Program is Here! Today is the day! Shoppers Optimum and PC Plus have merged into a new program, the PC Optimum! Get your PC Optimum card at any Shoppers Drug Mart location. All your existing points have now been converted to PC Optimum points at full value. You can transfer your points now. 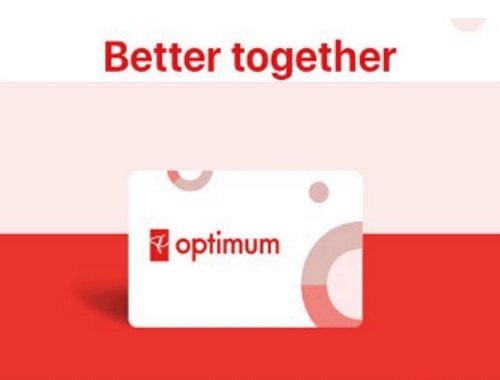 For example, if you have 95,000 Shoppers Optimum points ($170 in value), you will have 170,000 PC Optimum points come February 1st (also $170 in value). As for PC Plus points, they will be converted at a 1:1 ratio - i.e. 10,000 PC Plus points becomes 10,000 PC Optimum points. If you’d like to see how your points will be converted at full value, check out our conversion calculation at the link below. Now every 10,000 PC Optimum Points are worth $10 to redeem. You can redeem in increments of 10,000 points up to a maximum of 500,000 points. I like that the flyers section on the PC Optimum app shows other stores too, not just Shoppers Drug Mart, so you can browse them all in one place. If the PC Optimum website is down (as it appears to be at the time of this post) check back later, there are probably a lot of people trying and they are still working out the glitches. I downloaded the new PC Optimum App this morning with no issues and transferred my remaining points.